Hutton & Hutton Architects & Engineers (HHAE) was founded in 1895, by Joseph T. Hutton in Hammond, Indiana and because of our dedication, long standing principles, and qualifications; HHAE earns the respect and confidence of our Clients, which is why the majority of our business comes from repeat Clients and word of mouth. William P. Hutton is the Owner/Senior Principal of HHAE and has over 30 years experience across numerous types of projects. HHAE has been involved with a multitude of projects of varying magnitudes and costs for many years over vast building types and project scopes. Our knowledge, experience, understanding of codes and guidelines, appreciation for your Project Scope, confidentiality of all tools that we have been privileged to learn and most of all, our willingness to learn and work with you and your Staff to provide a successful end product. We trust that our Knowledge, spanning three centuries of combined experience always offers you superior end results, meeting your Goals and Objectives on each Project, within your established Time Schedule and Budget at an economic Architectural and Engineering Cost Structure to your advantage. The Hutton & Hutton tradition begins with Joseph T. Hutton. A native of Dunville, Canada. J.T. was born in 1861. To this day recognized as a pioneering Architect in the state of Indiana, he earned degrees in Architecture and Engineering from the University of Toronto in 1883. After working for the Canadian government designing lighthouses and public buildings, he practiced in Rochester, Michigan City, and South Bend, Indiana. In 1895 he moved to Hammond, Indiana and established the Hutton firm. 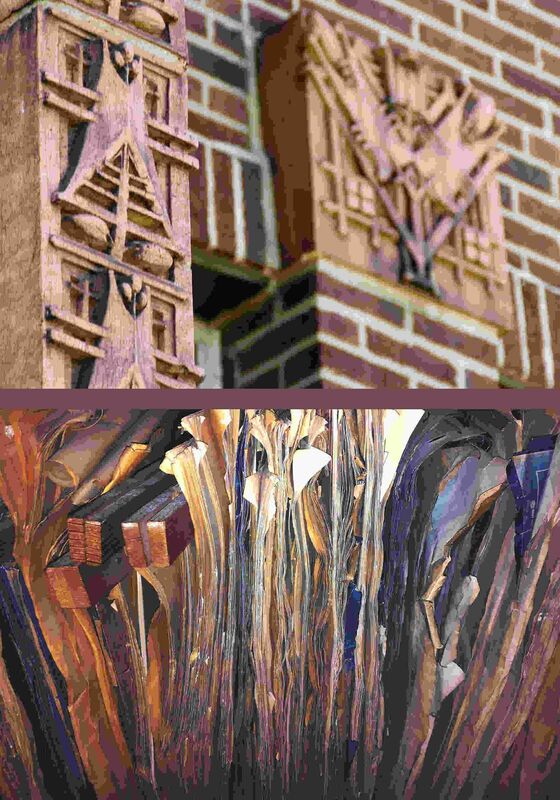 Among the works of historical significance as a 33rd degree Mason are courthouses, schools and residences and has worked with Louis Sullivan on projects. The second child and first son of J.T., William attended the Armour Institute his senior year of high school. Now known as the Illinois Institute of Technology, the Armour Institute was considered one of the best technical schools in the nation, and it was there William studied Architecture and Engineering in the footsteps of his father. Upon completion of his schooling, William joined his father at the Hutton firm and his noted work includes schools, industrial and commercial projects. George Elmslie partnered with the Hutton firm on several projects (schools, etc.) in Indiana and in Chicago. William was the father of four boys, three of which followed him into the Architectural and Engineering fields. As his father William Sturgeon Hutton did, William Carl graduated from the Armour Institute with degees in Architecture and Engineering. He joined his father at the Hutton firm in 1940, but soon joined the war effort. During World War II, he served both the 113th Army Corps of Engineers and Army Air Force in the South Pacific. After serving the country, William Carl returned to his work with the Hutton firm. A graduate of Purdue University, Robert earned his degree in Engineering in 1947. He also studied at the University of Kentucky and the Illinois Institute of Technology, where he earned a masters degree is Structural Engineering. Like his brother William Carl, Robert put his career on hold to serve his country during World War II. Commisioned a second lieutenant, and later a first lieutenant in the Army Corps of Engineers, he designed and constructed air fields. Upon his honorable discharge, Robert joined his father William Sturgeon and brother William Carl in the Hutton firm, which at the time was recognized as the oldest Architectural and Engineering firm in the Calumet region. Charles attended Depauw University after high school for one year, and then attended the University of Oslo in Norway. Upon returning from Europe, he completed his education at the Illinois Institute of Technology, studying under renowned Architect/Instructor Mies VanderRohe. Charles graduated from IIT in 1955 with bachelors and masters degrees in Architecture. After graduation, Charles joined his father William Sturgeon, and brothers William Carl and Robert in the Hutton firm. Son of Robert Emil Hutton, William (Bill) attended Ball State University and Purdue University and earned a bachelors degree in Architecture and minor in Business Administration from Ball State. Bill worked on a number of construction projects as a laborer and began his career at a renowned firm in Chicago. After several years, Bill joined the Hutton firm in 1982 where he is currently the Owner/Senior Principal and holds memberhip in the American Institute of Architects, National Council Architects Registration Board, American Society of Healthcare Engineers, Construction Specifications Institute. Attended the University of Kentucky (UK) where acquiring his bachelors degree in Architecture and a minor in Business Administration, studying under some highly regarded and awarded professors and is believed to be the first graduate of the program while playing football. Justin was nominated for national awards during his time at UK and a proponent for the summer Architecture program start-up. After graduation, Justin has worked on several large-scale healthcare and other projects nationally prior to joining HHAE in 2011, with his father Bill, as the fifth generation. Since 2011 Justin has contributed and led projects, to national awards for the firm, speaking engagements, and is a member of the American Institute of Architects, National Council Architects Registration Board, and LEED Accredited Professional.